Product categories of Men's Necklace, we are specialized manufacturers from China, Men'S Necklace, Cool Necklace For Men suppliers/factory, wholesale high-quality products of Custom Men'S Necklace R & D and manufacturing, we have the perfect after-sales service and technical support. Look forward to your cooperation! The JMY men`s necklace are an excellent choice for any occasion. Perfect for dance, birthday gifts, anniversaries or just because, bracelets are the ideal accessory for both casual and fancy looks. Go elegant with a trendy pendant necklace or luxury chain necklace, or add some flair to your outfit with a simple style necklace,animal charms necklace or skull charms necklace. 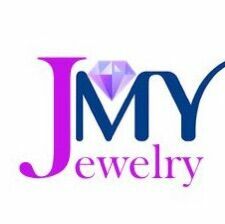 At JMY, our wide selection of beautifully crafted men`s necklace has everything you're looking for to find the perfect necklace that will match any look.